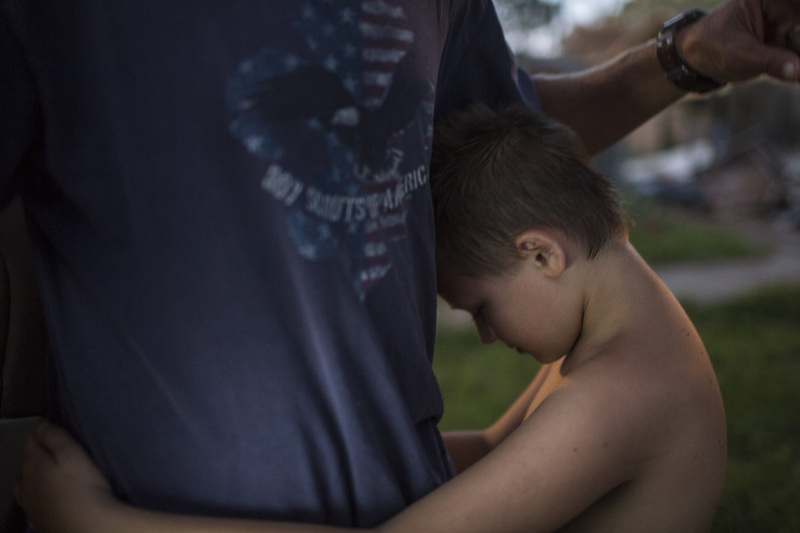 Wayne Dailey hugs his son Ronnie Dailey after making plans for his wife's funeral in Houston, TX on September 8, 2017. Dailey's wife, Casey Dills-Dailey, died from preventable causes during flooding after Hurricane Harvey, despite Dailey's desperate calls to 911 as well as attempting to flag down both rescue boats and helicopters. By the time Dailey was able to get on a rescue boat with his wife, it was too late; Dills-Dailey died in Dailey's arms in the back of a dump truck while being brought to medical professionals.